in the Witch City. Don’t miss a single moment of hair-raising fun! 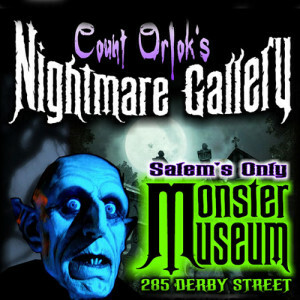 Salem’s only cinematic monster museum. In October, there are two sides to the museum: The DR. JECKYLL MUSEUM side, which is the normal, self guided, easy paced, NO-SCARE, Amazingly Awesome museum portion. 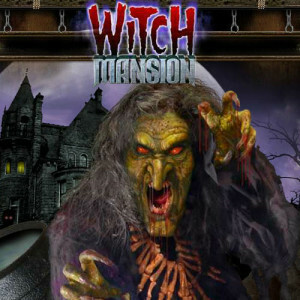 Then there is the MR. HYDE HAUNTED HOUSE portion when the museum falls victim to a curse! You don’t quite know what’s real and what’s not until it’s MAKING YOU SCREAM!!! Gallows Hill Museum/Theatre Witchcraft & Ghost Experience is an incredible mix of special effects, actors, costumes, story-telling, diversions, exhilarating surprises and jump scares blended with historical facts about the SALEM WITCH TRIALS, ghosts and local legends – interactive, exciting, surprising, and immersive. Show length is approximately 22 minutes, and runs daily every 30 minutes.